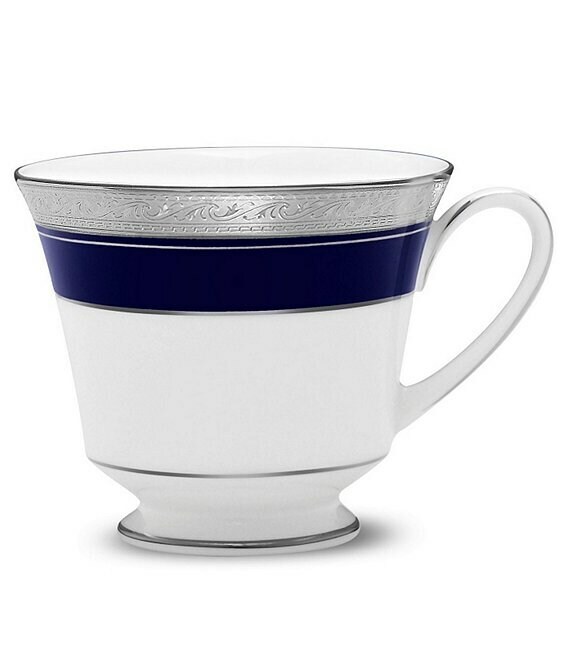 A rich band of cobalt is added to the etched platinum border of this elegant porcelain cup from the Crestwood collection by Noritake. Approx. 3"; 8-oz. capacity. Dishwasher safe.